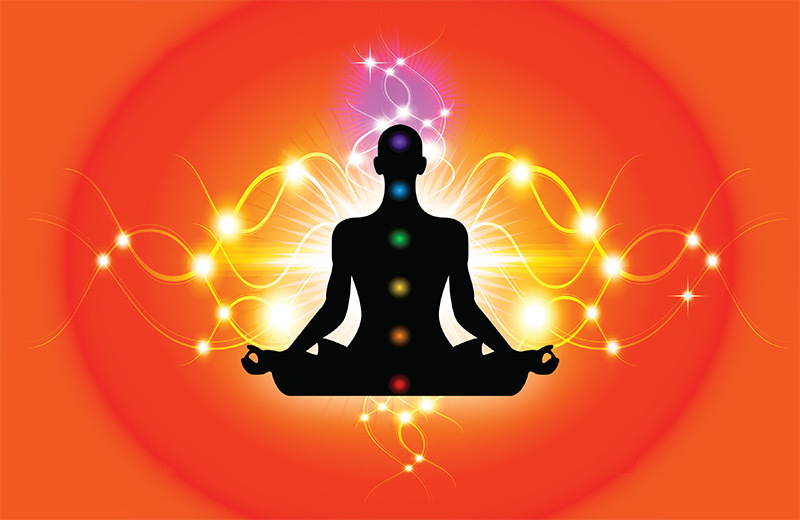 The centre of energy in one’s body is called a “chakra”, meaning “wheel” in Sanskrit. The origin of the word stems from how the energy spins from one energy centre to the next, networking with the body’s physiological systems. In total, there are seven centres, located from the base of the spine to the crown of the head. Each plays a role in controlling emotions and the connection to one’s surroundings. The root chakra is the first and is located at the base of the spine. It is responsible for energy associated with feeling grounded and safe and represents characteristics of survival and one’s physical identity and is represented by the colour red. When it becomes blocked, one may feel restless, co-dependent, and abandoned. To cure the blockage, many find relief by engaging in physical activities, such as walking, household chores, and exercise. The sacral chakra is associated with emotion, including creativity and sensuality, and is located in the lower belly. It relates to relationships, sensual pleasure, and the connection between inner and outer worlds. It is represented by the colour orange. An imbalance here may cause symptoms such as feeling numb to emotion, having little control over one’s emotions, and feeling stuck in one mood. It may be difficult to feel empathy and cope with change. To cure the imbalance or blockage, many turn to healing methods that help in obtaining an emotional equilibrium, such using certain essential oils and meditation. The solar plexus chakra corresponds to willpower, forming one’s opinions and beliefs, personal identity, and decision-making. This is located just above the sacral chakra. Imbalance may cause one to be excessively authoritative over others, misuse power, be manipulative, or feel a lack of purpose. Many find that meditation while visualising fire or the colour yellow (this chakra’s colour) aids in healing. Wearing shades of yellow clothes or jewellery, as well as spending time in the sun and practising yoga, are other examples of how to find balance. The heart chakra serves as a liaison between the earth and spirit and is located in the centre of the chest. The main feelings correlating to the heart chakra include love, compassion, empathy, and acceptance. Signs of a blockage may involve feelings of loneliness, social anxiety, and holding grudges. Similar to how you heal the solar plexus chakra, it is best to surround yourself with its colour, green, by either wearing green clothes or jewellery or surrounding oneself with green objects. As with all chakras, yoga and meditation aid in healing as well. Associated with the colour blue, the throat chakra is located at the centre of the neck and is concerned with energy passing from the lower body to the head. Its function is to support the expression and communication of the individual. It creates feelings of purpose, the ability to express truth, and aids in verbal and non-verbal communication. A blockage here may hinder one’s ability to recognise truth and refrain from communicating needs to others. A method of healing a blockage here involves getting in tune with one’s negative emotions; some find that crying helps relieve the blockage. Also, talking openly and honestly with others may help, along with practising meditation and yoga. 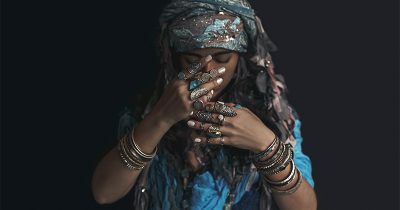 The third eye chakra is located between the eyebrows and acts as the centre for intuition and foresight. Characteristics encompass traits such as wisdom, creative and spiritual motivation, and vision. The colour that it is associated with, is indigo. Some healing methods to treat an imbalance include meditation, energy healing, and eating foods such as eggplant, plums, blueberries, and kale. The crown chakra allows one to experience a higher level of consciousness. It is associated with the colour purple and is located at the top of the head. Some of the behavioural characteristics include consciousness, bliss, presence, and realisation. A blockage may cause symptoms such as loneliness, lack of direction, and feeling spiritually disconnected. Healing may require meditation and a yoga practice specifically involving supported headstands and other inverted poses. 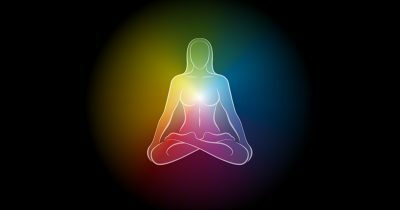 Largely, the imbalance, or “blockage”, of one or more chakras will reduce not only the quantity of the energy flowing through it but the quality of that energy also. It is essential to recognise when you have an imbalance and to practice the steps to heal the blockage, in order to experience a strong, healthy flow of energy throughout the body. 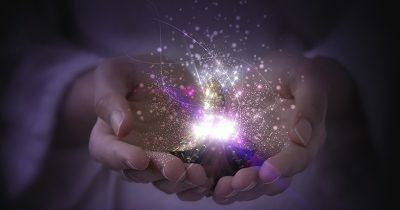 If you enjoyed this article, you may like our article on Auras – Get to Know Your Aura. Very interesting and useful to me in my future studies thank you. Glad you enjoyed the article. Good luck with your studies.